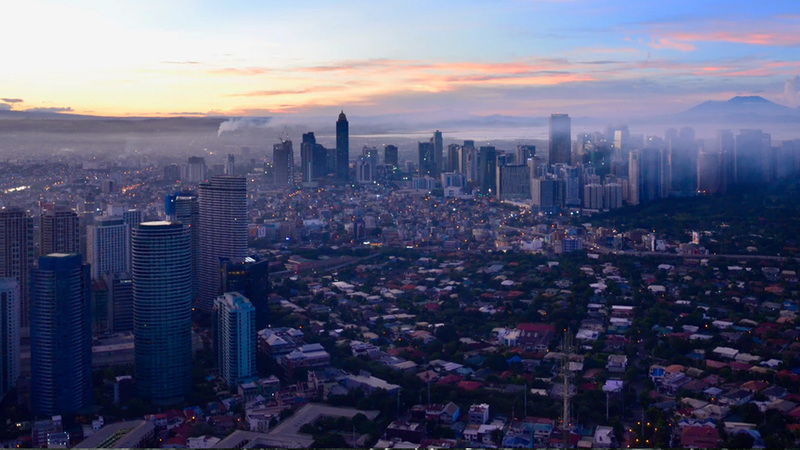 Which of Metro Manila's High-End Villages Have Tripled in Value Over The Last 6 Years? If you had bought a patch of land in one of the country’s high-end residential villages in 2010, its value would have likely more than tripled by now. That’s according to data from real estate analyst Leechiu Property Consultants, which released its latest market insights report last September 25. The report listed the land values of nine high-end villages in Metro Manila and showed how much they have increased from 2010 to Q2 2017. “Increased demand and scarcity of high-end villages has kept residential land values at peak rates,” said Leechiu Property Consultants in the report. Check out the infographic above to see how much land values have grown in these villages in the past six-and-a-half years. Among the nine villages, Corinthian Gardens in Quezon City saw the highest appreciation in land value, which experienced a 269-percent growth. 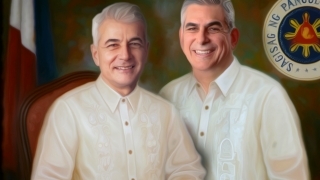 This was followed by Hillsborough in Muntinlupa at 257 percent and Urdaneta Village in Makati at 250 percent. Dasmariñas Village in Makati had the most expensive land in the group, with land values averaging at Php300,000 per square meter. 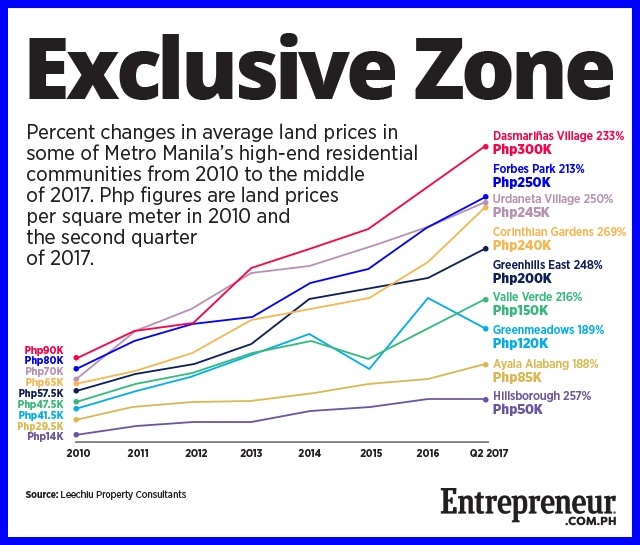 Two other high-end Makati villages followed: Forbes Park at Php250,000 per square meter and Urdaneta Village at Php245,000 per square meter. 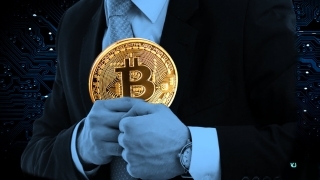 New Money: Is Bitcoin the Future of the Philippines?